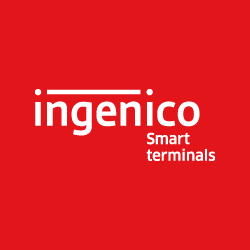 Ingenico Group (Euronext: FR0000125346 - ING), the global leader in seamless payments, today announced its preliminary 2018 performance (1) and its action plan for the year 2019. In the fourth quarter 2018, revenues totaled €727 million, representing an increase of 5% on a reported basis, including a negative foreign exchange impact of €17 million. On a comparable basis, revenues was 5% higher than in the fourth quarter of 2017. The Retail business unit revenues reached €364 million, up 12% on a reported basis, impacted by a negative foreign exchange of €6 million. On a comparable basis, revenues grew by 9% in the fourth quarter of 2018. Small & Medium Businesses division has delivered a strong double digit organic growth (+20%), driven by merchant gains, growth in acquiring volumes and German turnaround. Global Online activities are up 8% fueled by contracts ramp-up and new client gains. Enterprise division, up 1% organically as expected, has seen its overall performance impacted by a lower contribution from payment acceptance solutions to large retailers, while in-store gateway processing activities continue to grow. During the last weeks of 2018, Ingenico Group has not recorded the expected trajectory for Banks & Acquirers business unit. Revenues reached €364 million, down 1% on a reported basis, impacted by a negative foreign exchange of €11 million. On a comparable basis, revenues grew by 1% in the fourth quarter of 2018. Performance has been lower than expected in EMEA (21% organic decline) and in North America (13% organic decline), while Latin America and Asia-Pacific regions came in line with our expectations with +61% and +12% organic growth respectively. In a context of a lower growth within Banks & Acquirers, Ingenico Group expects €485 million EBITDA for the year 2018 versus €510 million initially anticipated. 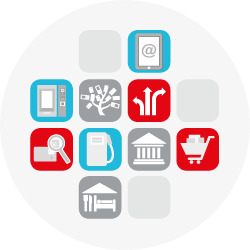 The contribution from the Retail business unit Retail came in line with our expectations. The contribution of Banks & Acquirers business unit was down, mainly impacted by the non-execution of contracts factored in Q4’18, a different than expected product mix, mainly a lower contribution from Axium, an unfavorable geographical mix and a negative foreign exchange impact. Furthermore, the Group has pursued a strict financial discipline. The EBITDA conversion rate has reached 55%, above the guidance of 40-45% announced in October 2018. In light of the 2018 performance, Ingenico Group is implementing the required action plans. The Banks & Acquirers business unit will be optimized, including in particular a cost savings program as well as a commercial turnaround. Group support functions will be optimized as well. Regarding the Retail business unit, investments will be accelerated within the fast growing segments. The business unit will benefit from the integration of BSPayone and Paymark. The Group will communicate its financial guidance for 2019 and detailed action plans during its full year 2018 results presentation on February 12th, 2019.